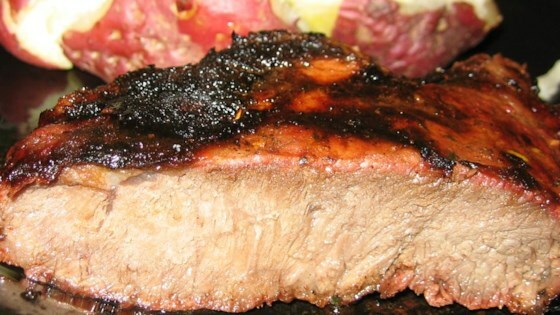 "This Irish whiskey marinade is our favorite for using with flat iron steak. It adds a juicy and delicious flavor to the meat." Combine the olive oil, whiskey, soy sauce, green onion, garlic, pepper, parsley, thyme, and rosemary in a large, sealable plastic bag; seal and shake to mix. Add the steaks to the marinade. Seal the bag, squeezing out as much air as possible. Refrigerate at least 1 hour. Remove steaks from marinade; discard the marinade. Allow the steaks to come to room temperature before cooking. Cook the steaks until they are beginning to firm and are hot and slightly pink in the center, 6 to 7 minutes per side. An instant-read thermometer inserted into the center should read 140 degrees F (60 degrees C). Cover the meat with two layers of aluminum foil and allow to rest in a warm area for 10 minutes before serving. Flat iron steak is a staple in my kitchen but this was the least flavorful marinade I've ever used. I will not make it again. I followed the recipe exactly. This recipe was great . . . getting the Flat Iron Steak was KEY. I think next time I will reduce the oil a little bit and increase the whiskey. Thanks for sharing!